Smock makes a wonderful line of sustainable Thank You Cards that can help teach your child about manners, penmanship and the meaning of thanks. 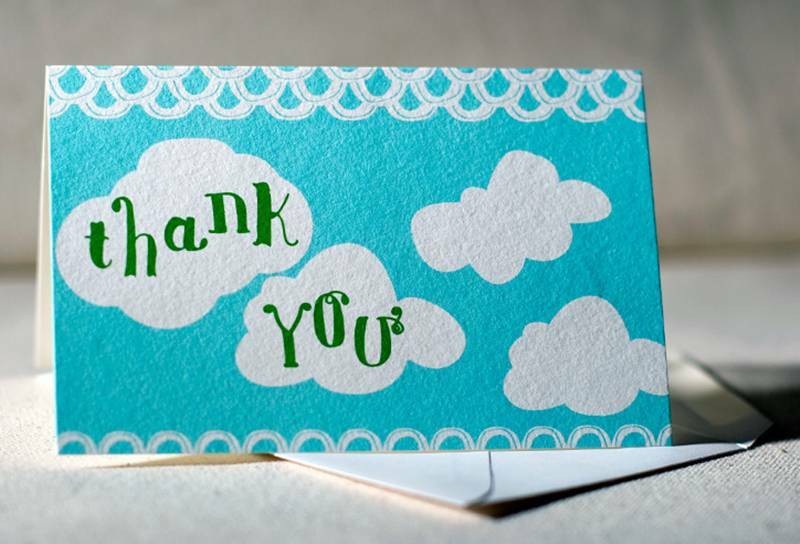 These sweet thank you cards are perfect for sending out after your child’s birthday or other holiday event. All cards are sustainably offset printed on bamboo paper. Card envelopes are made out of 100% post consumer recycled paper or patterned bamboo paper. Thank you cards come packaged in a crystal clear box made from 25% to 50% post-consumer polyester; a #1 recyclable plastic and one of the most easily recycled plastics. There are plenty of amazing designs to choose from, and one is sure to fit your child’s birthday party colors or theme.